and the pebbles under the rocks. 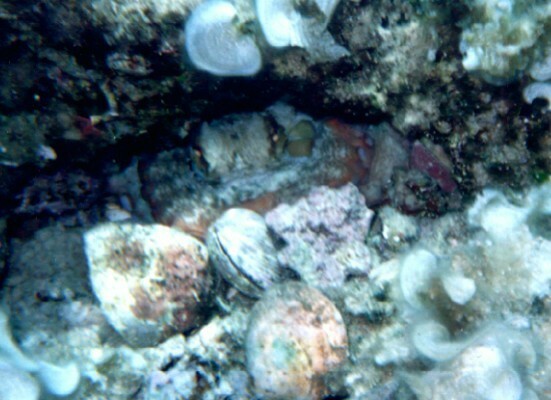 It then arranges a wall of stones and often bivalves and other shells that is its foods in front of the crevice. This is the home of the octopus. The octopus wait in the front of its home for attack to the fishes, or go around and collect bivalves and other shells as well several kinds of crabs but always carry them back in its home for eating. wall and closes the crevice.